Nathan is a web designer and digital marketing strategist based in Houston, TX. 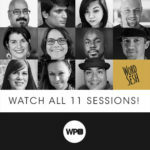 He first started working with WordPress in 2009 after while working for a leading web hosting company. Since that time he founded inPhocus Media, a web design studio that uses WordPress as a solution for their clients. Nathan is the author of Freelance Jumpstart, a clear step by step roadmap to the business of freelancing for creative professionals. 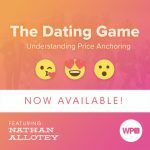 You can find Nathan teaching on business and digital marketing on his weekly podcast at nathanallotey.com.